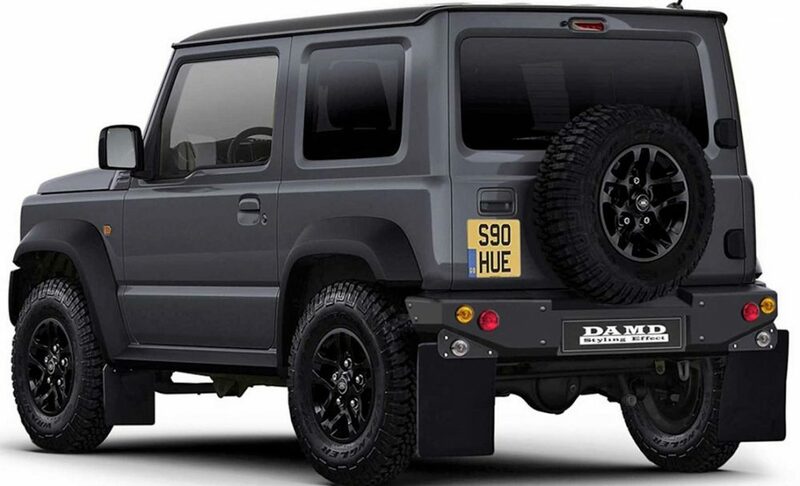 DAMD recently worked on the Suzuki Jimny and came back with two different versions based on two exclusive products. 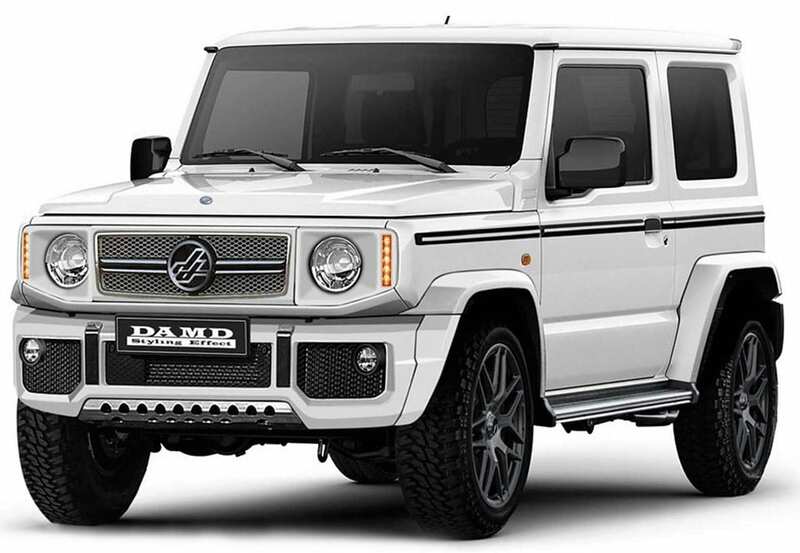 DAMD Little G, the first modified version, comes with a body kit that mimics the Mercedes G-Class magic with dedicated vertical indicators around the round headlight and sculptured bonnet. The grill, bumper and even bash plate are highly inspired by the flagship SUV of Mercedes Benz. 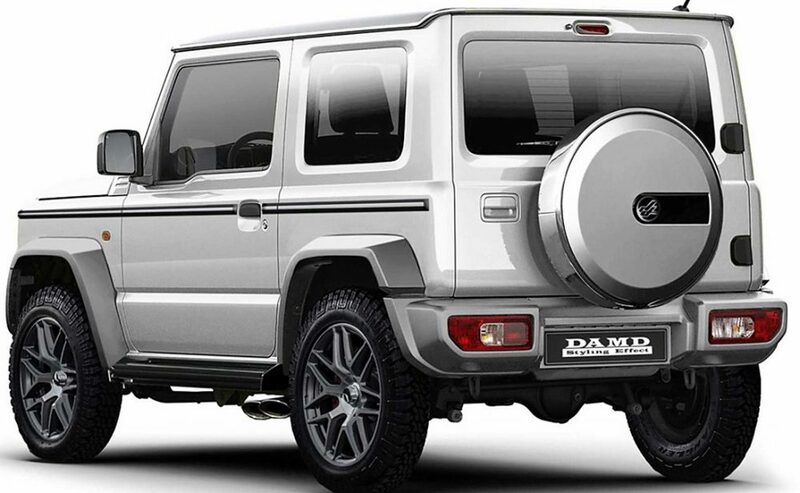 Matching the overall profile, DAMD used huge alloy wheel with thinner rubber profile to complement the urban attitude of G-Wagon. The wheel arches are extended and rear bumper finishes the overall G-Class touch with utmost elegance. Little D is the second version from DAMD, where D stands for Defender. 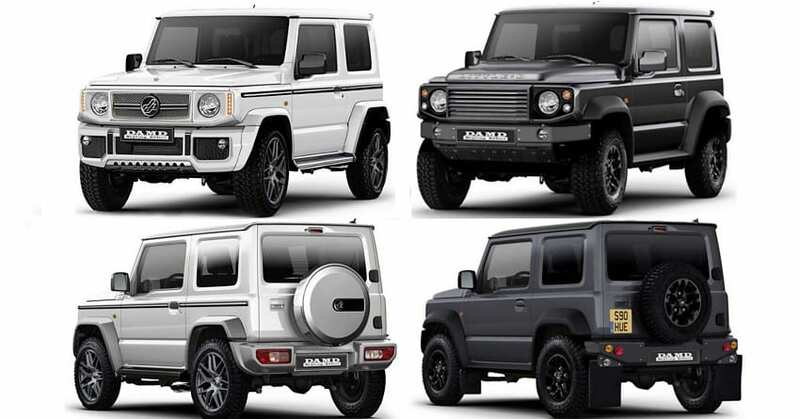 Yes, the guess is correct and inspiration comes directly from none other than the Land Rover Defender. 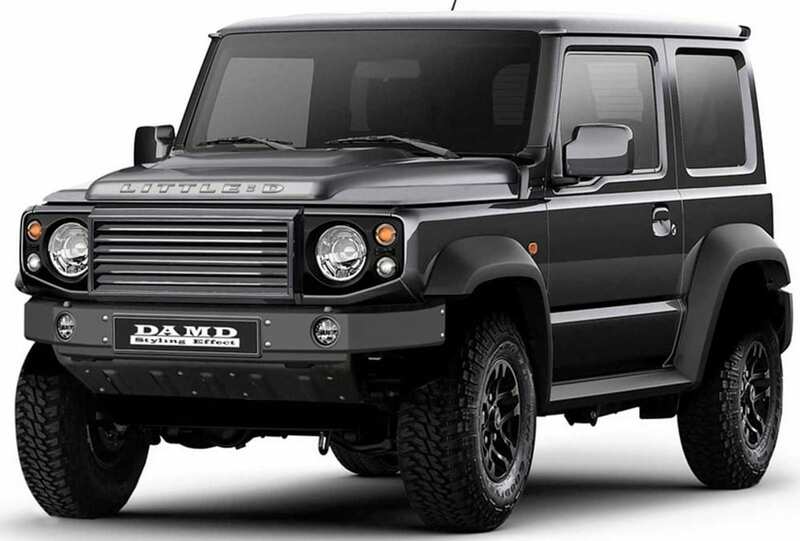 The version seen here gets unique defender grill, almost negligible bumper with solid bash plate, decent alloy wheels with off-road tires, redesigned bonnet with multiple layers and headlight casing with a three-piece finish for that perfect Defender look. The rear comes with an equally impressive wheel without any cover while bumper seen here is also custom made with Defender style mud protectors. 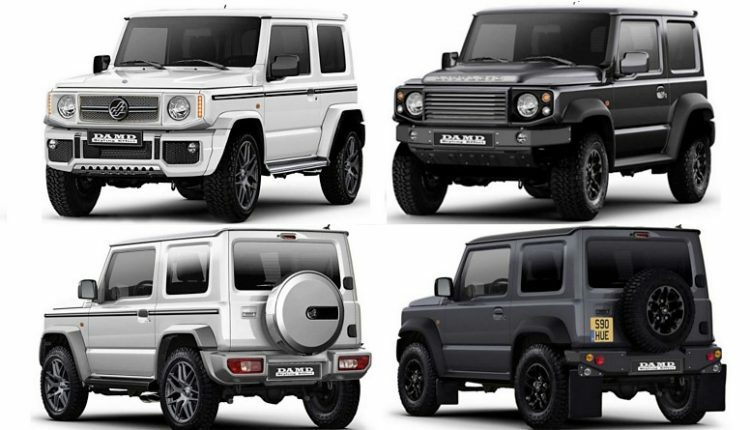 The flat roof-line of Jimny made both these version possible. DAMD will put both these kits on sale in 2019. The unfortunate official statement of Maruti regarding no launch plans for Jimny in India will now feel even worse for the SUV fans of India. Even though the Jimny is much smaller in size, the enhanced feature list will definitely help the lucky buyers enjoy class-leading styling in comparison to the stock version. The discontinuation of Gypsy from the Indian market can help Maruti change the decision and bring any of the version of Jimny to India. The car will rival none other than Mahindra Thar and Force Gurkha in its segment, with both rivals getting much bigger engines for sure.